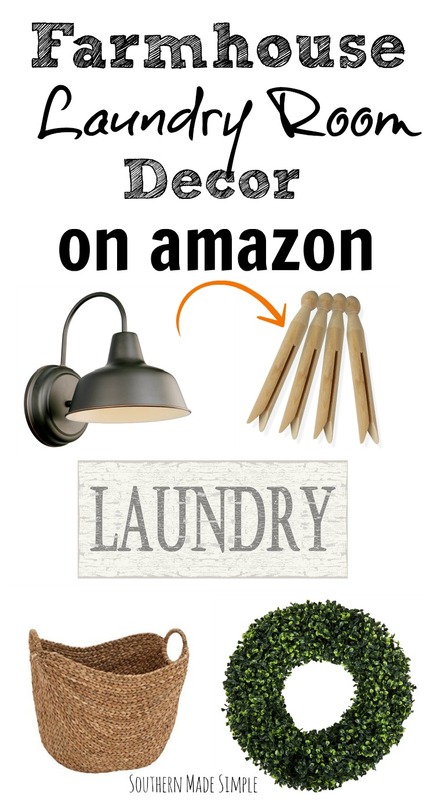 We’re officially in month 3 of our home building project, and my mind has been flooded with different home decor designs and projects that I want to start. 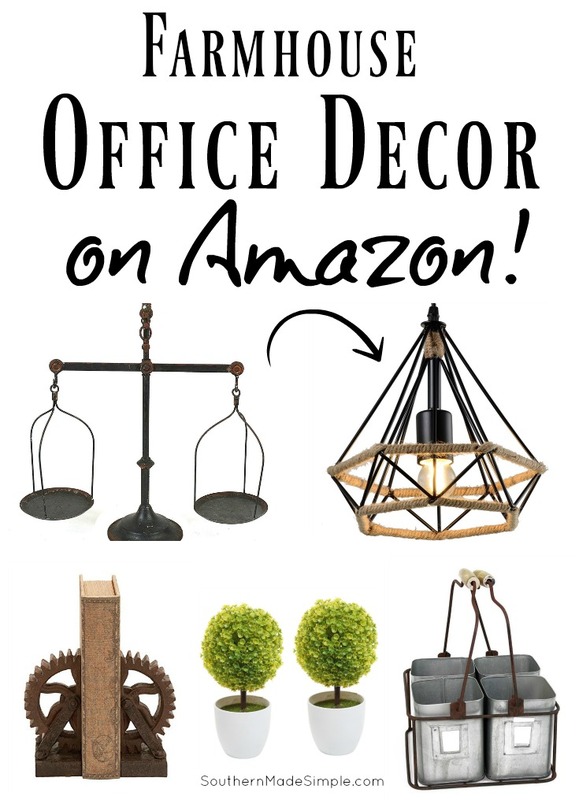 You recently saw me share a few of my favorite farmhouse-style finds for my office space, and I’ve even been narrowing down which light fixtures I’m hoping to hang in my house. 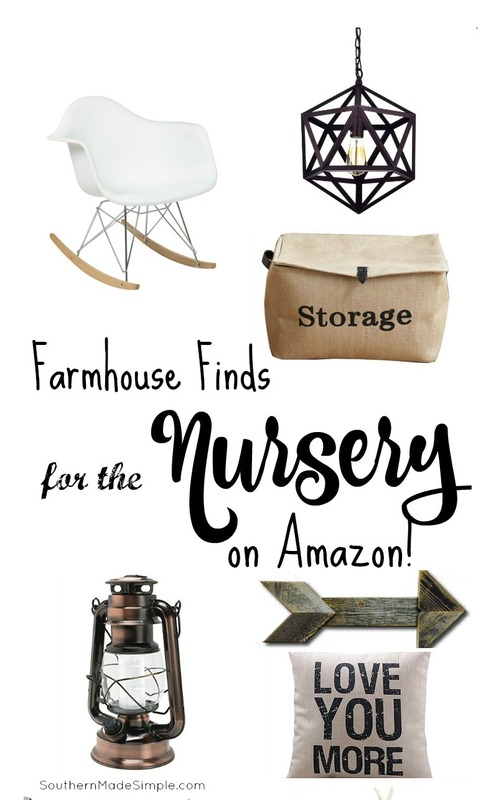 All of that brainstorming leads me down another rabbit hole of farmhouse-y possibilities, and this time it’s ideas on where to park those heinies and rest a while! One of the biggest draws to farmhouse-style decor is that it creates a warm and fresh inviting vibe to anyone who enters the room. One of the first things you offer a guest when they come into your home is a place to sit down, so having adequate seating arrangements is rather important! I’ve put together a few of my favorite fixer-upper style farmhouse seating options and accent chairs that I feel would be absolutely stunning and gorgeous in a home. Don’t forget to take a peak at my Farmhouse-Style Throw Pillow post to find the perfect pillows to put the finishing touches on your favorite farmhouse finds! Oregon Dining Bench – One of the bigger trends with the modern farmhouse look is mixing modern-industrial elements with the an old-style flare. 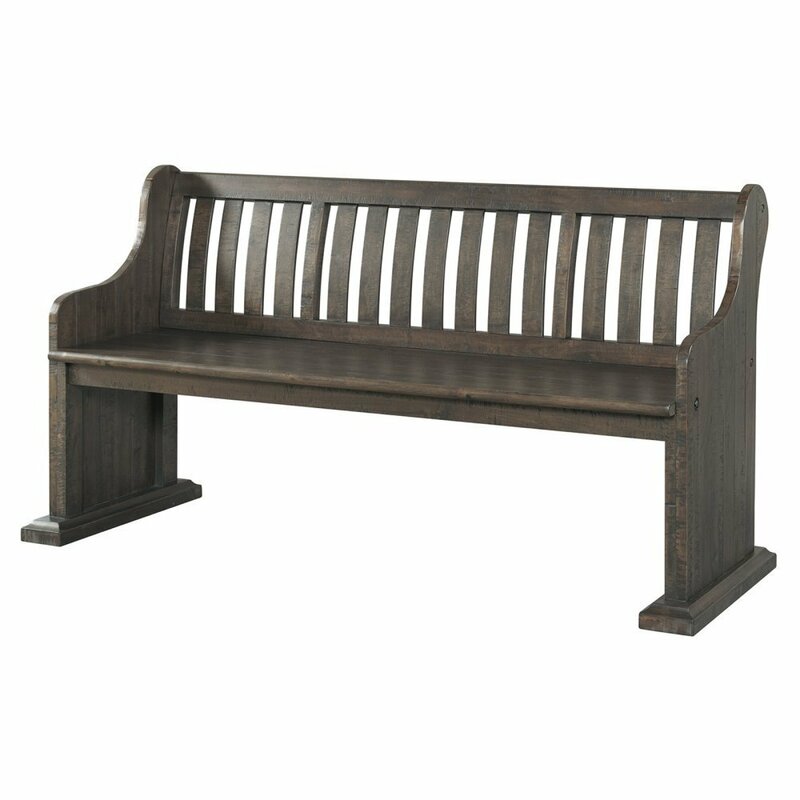 I’ve seen this particular bench in many homes, used either as an entryway piece or at a custom built farmhouse-style dinner table. Throw a few comfy throw pillows on it and you’re all set! 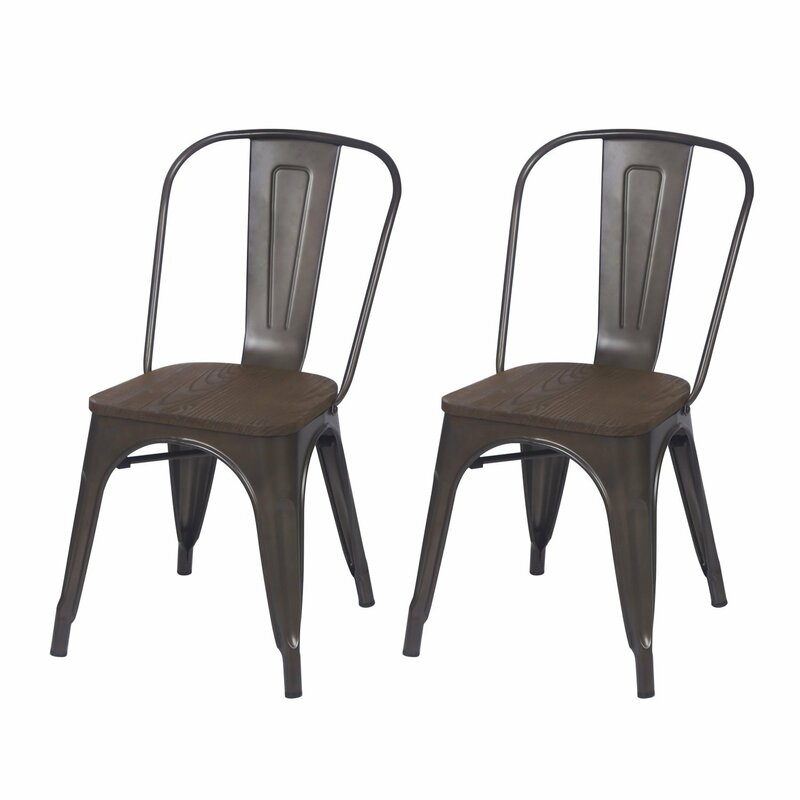 Industrial Bistro Chairs – If a bench isn’t quite what you’re looking for, maybe a single-person seat is! These chairs are gorgeous sitting around a table, and they come in numerous different finishes and colors! 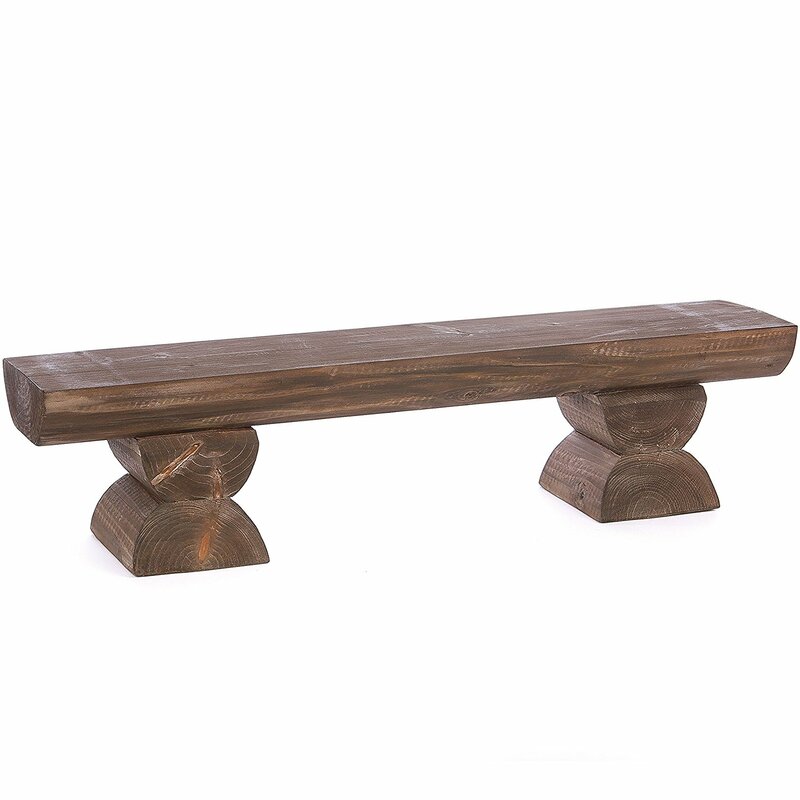 Stanford Pew Bench – Have you noticed the use of old pews in modern farmhouse decor here lately? It’s a trend that I’m absolutely crazy about! While this pew isn’t an antique, it still has a ton of charm and would be absolutely stunning in an entryway with lots of cozy pillows and a throw blanket hanging on the edge! 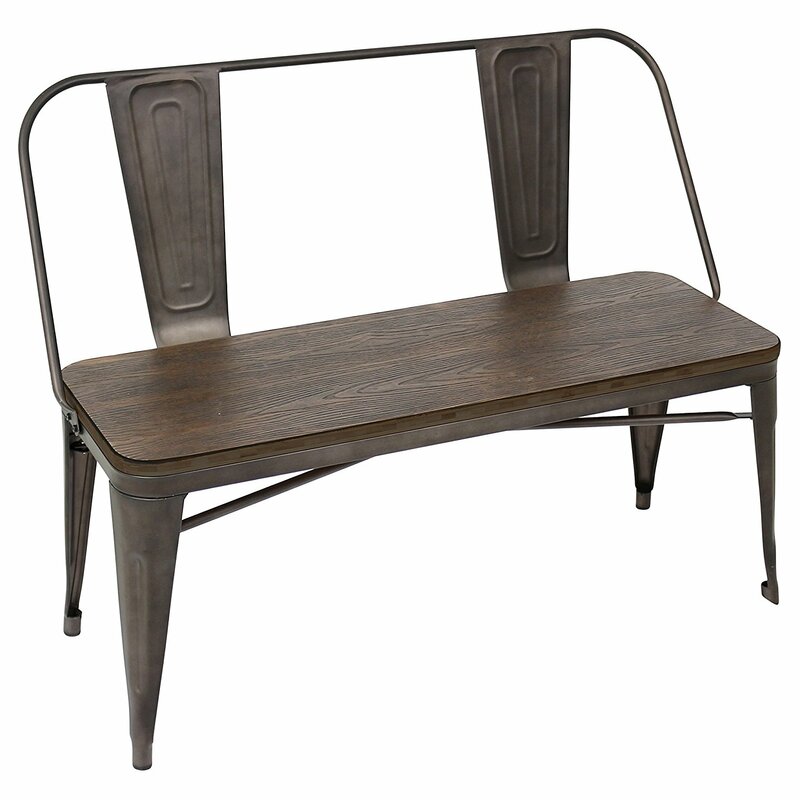 Wildwood Rustic Entryway Bench – This entryway bench combines those modern elements I mentioned earlier with the black metal accents with an older, shabby chic look. 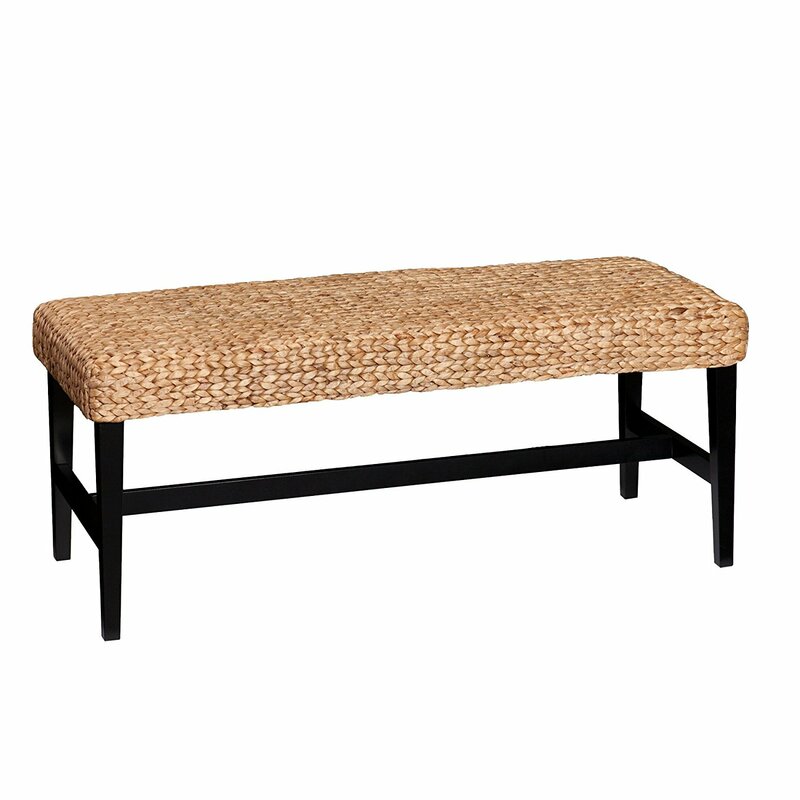 I adore this little entryway bench, and the fact that it has a little drawer for extra storage is icing on the cake! 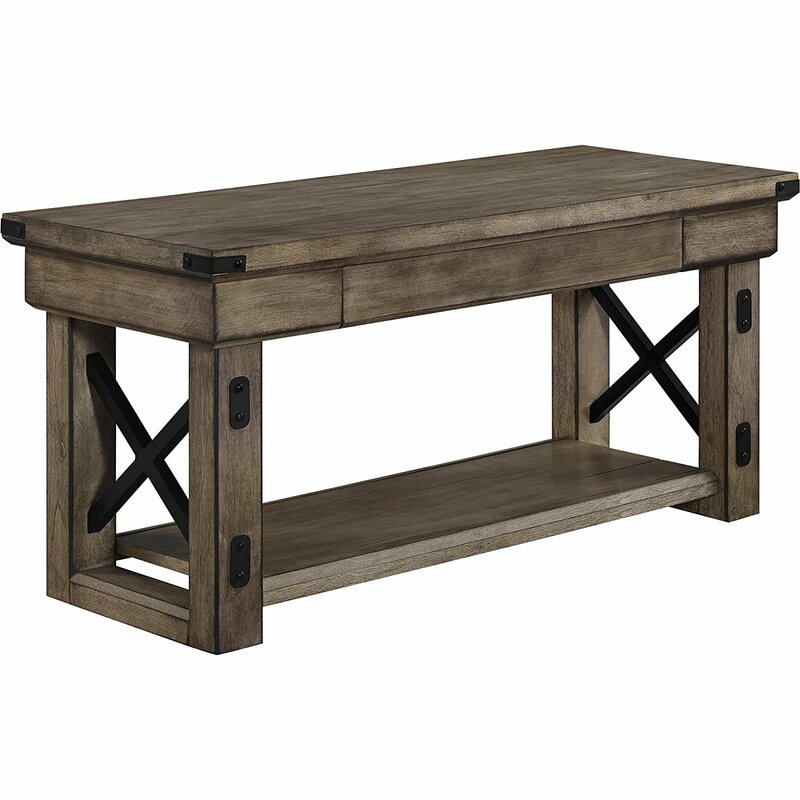 Rectangle Wooden Entryway Bench – Here’s another really rustic looking entryway piece that’s warm and inviting! Decorate around this piece with a seagrass basket, a few throw blankets and of course some accent pillows and you’ve got a nice little sitting nook in your home! Cubby Bench – If you’re going to have an entryway bench, why not make it cute and functional? 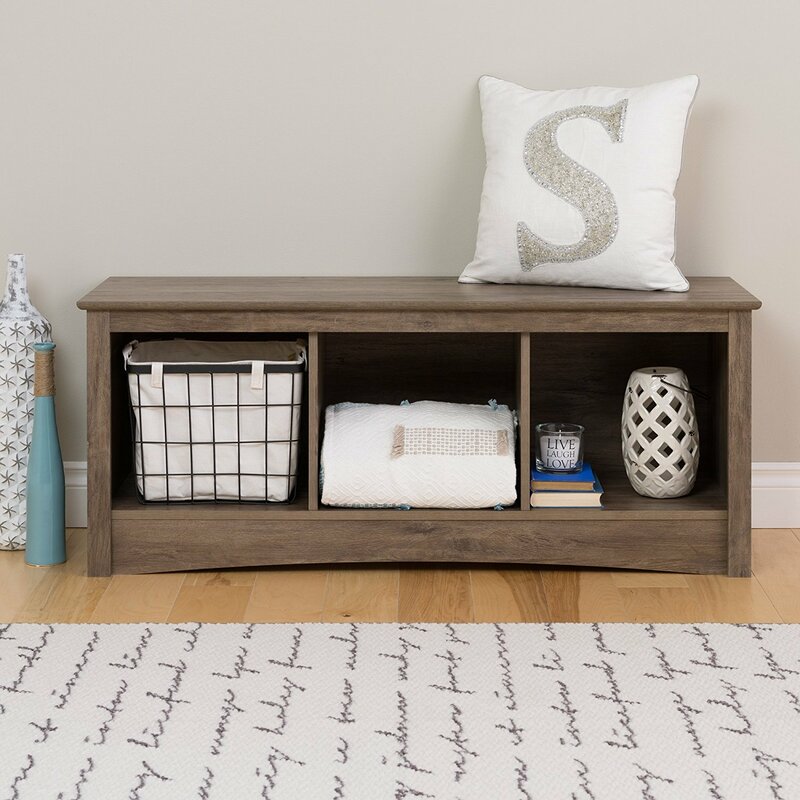 I love that this little cubby bench leave you with so many possibilities to style and decorate, not to mention store different items! 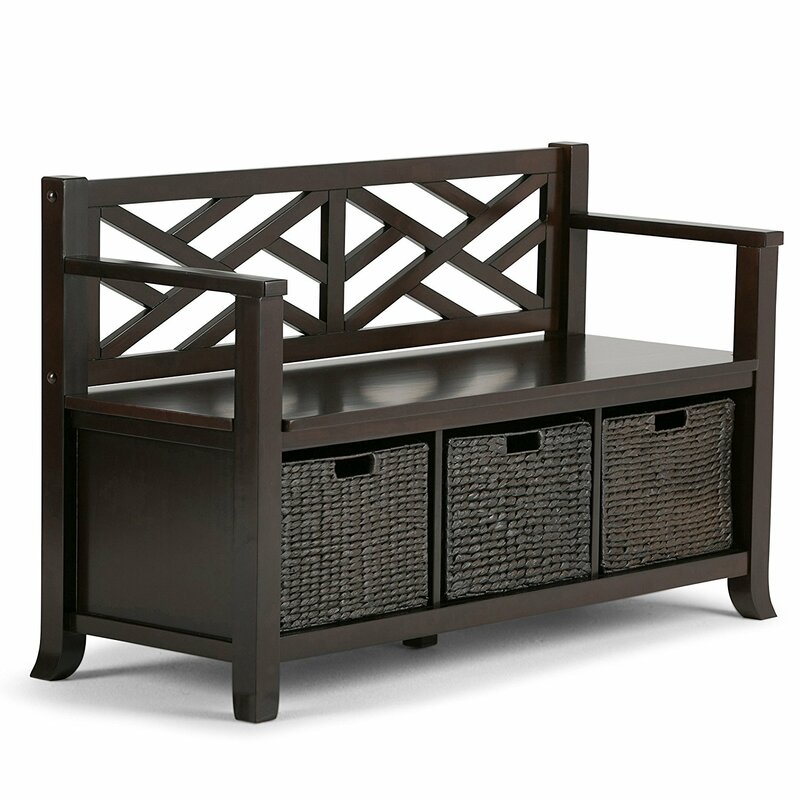 Entryway Storage Bench – Here’s another entryway bench that gives you plenty of room to store things. 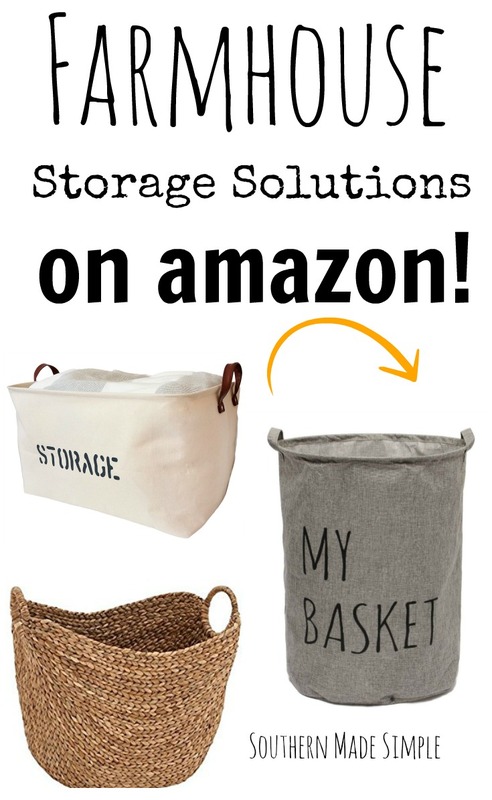 You can even swap out the basket and replace them with a different color if you’d like! I love that this bench has handles, too! 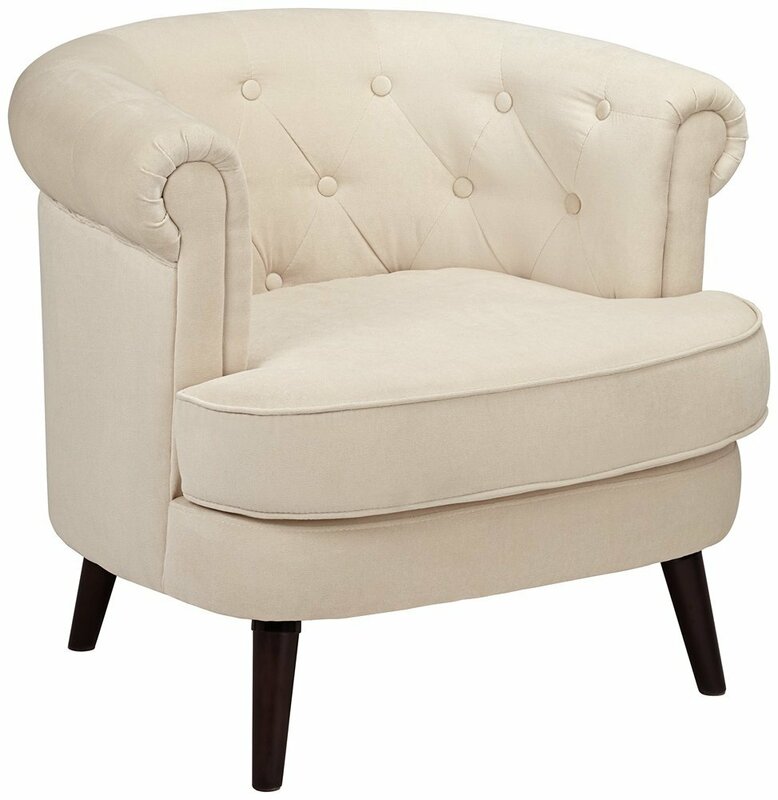 Mid-Century Mod Fabric Arm Chair – This one leans more on the modern side of the farmhouse look, but I think it’s absolutely stunning! I love the muted gray fabric and the long, skinny legs. 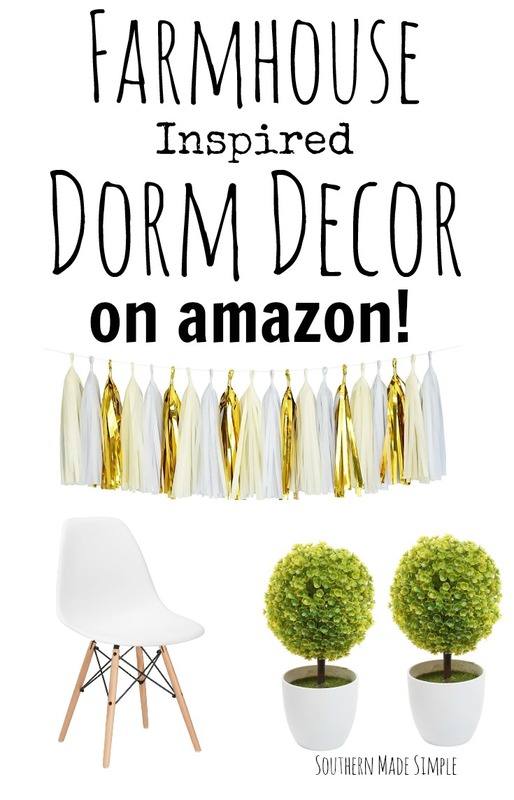 Add a throw pillow and you’ve got a statement piece in your living room! Natural Rustic Finish Accent Chair – I absolutely love the brushed bronze grommet accents at the bottom of this gorgeous chair. It looks really sophisticated, but not too fancy that you couldn’t curl up in it with a good book and a cup of coffee. This one is really speaking to me! 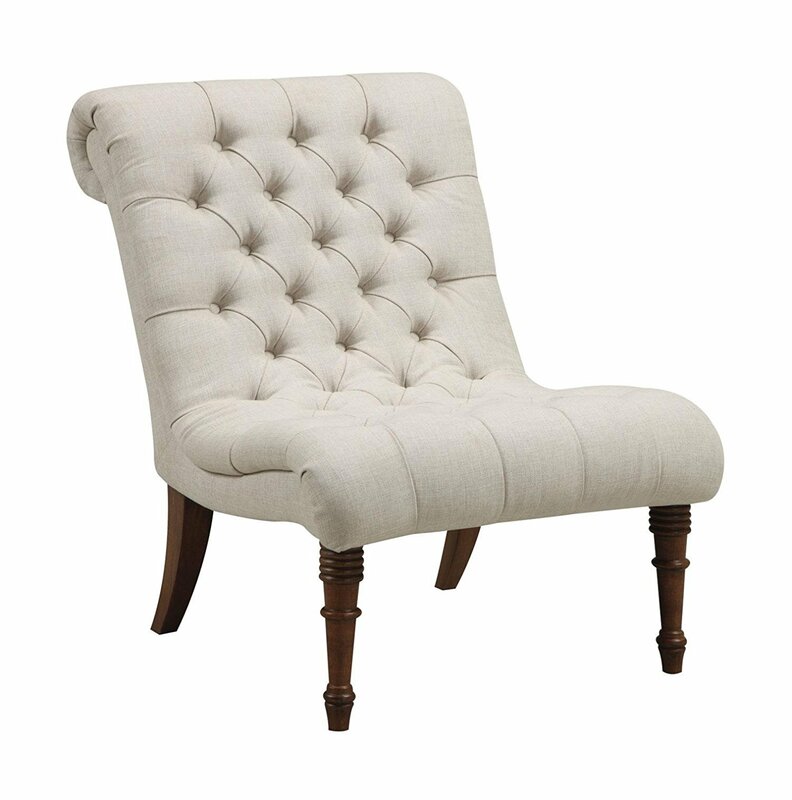 Elwood Accent Chair – There’s just something about a tufted chair that just looks so comfy and inviting to me. It’s got a really classic feel with a modern look to it, and I love the skinny black legs at the bottom to give it a little bit of contrasting color! 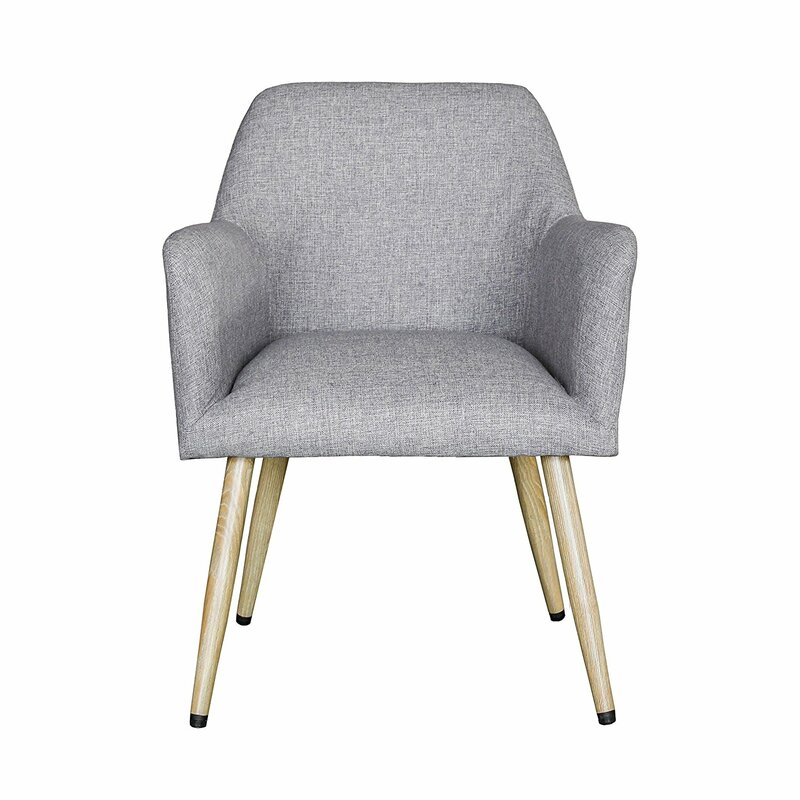 Braxton Modern Arm Chair – More grommets, more heart eyes from me! There’s just something about incorporating white into a decor scheme that makes the whole room feel so fresh and bright. Love this look! 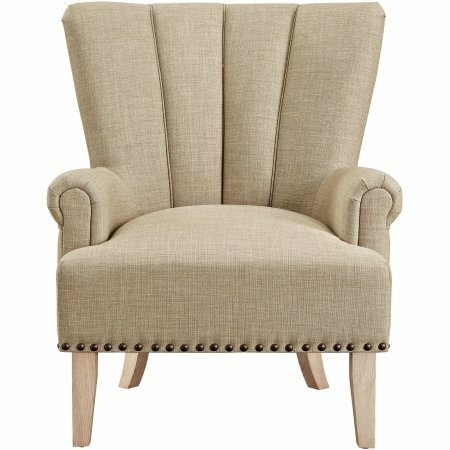 Tufted Casual Accent Chair – What can I say, I’m a sucker for the tufted look! This chair looks SO comfortable. I want to sit down in it right now! 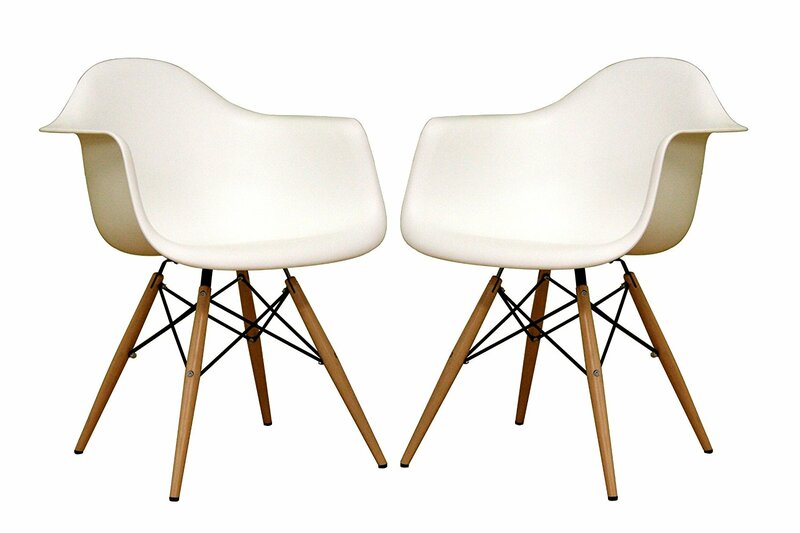 Mid-Century Mod Set of 2 Dining Chairs – These dining chairs are getting more into the mid-century modern look that you sometimes see in farmhouse decor. I love the crisp, black lines and straight leg wooden feet. I also love that there’s a little design element in the chair itself. These are really beautiful pieces! 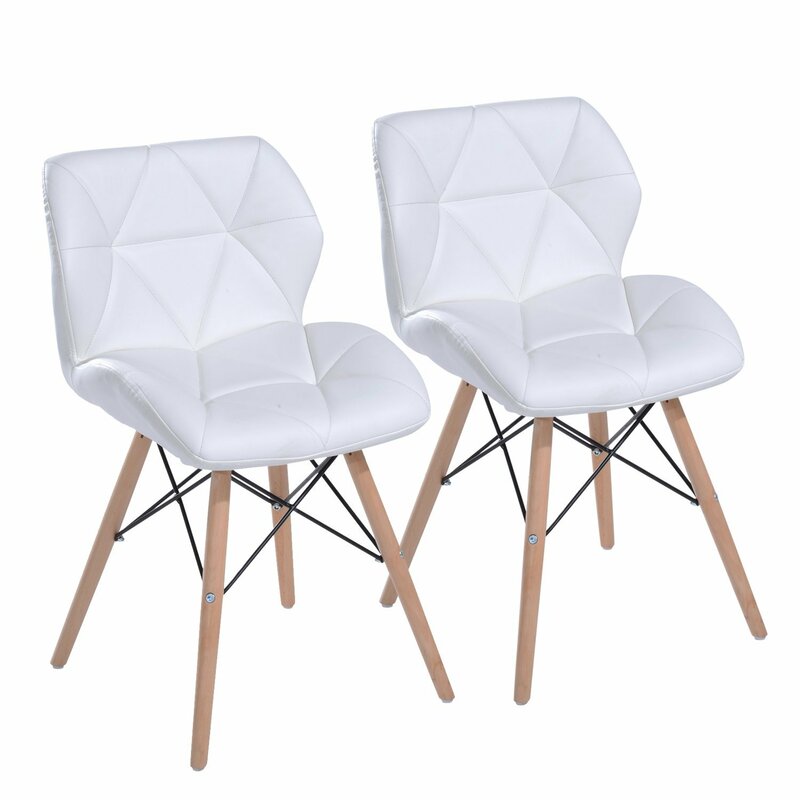 Set of 2 Mid-Mod Arm Chairs – I think these chairs would be really fun to incorporate into a bedroom or a child’s playroom. They’re also more modern, but have a really whimsical feel to them. I’m considering them to go in my guest bedroom and also in my daughter’s bedroom. I think it’d be a really sweet place for her to climb up into to snuggle with her little stuffed animals! 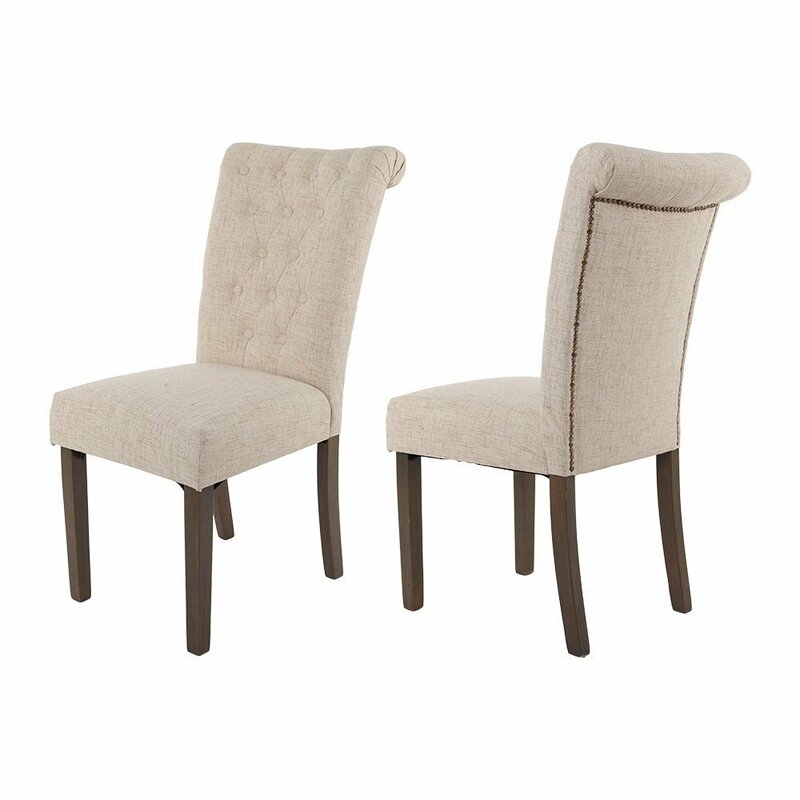 Tufted Fabric Dining Chairs – If you’re looking for a little more sophisticated dining room chair, these are a really popular seller right now on Amazon, and I can totally see why! 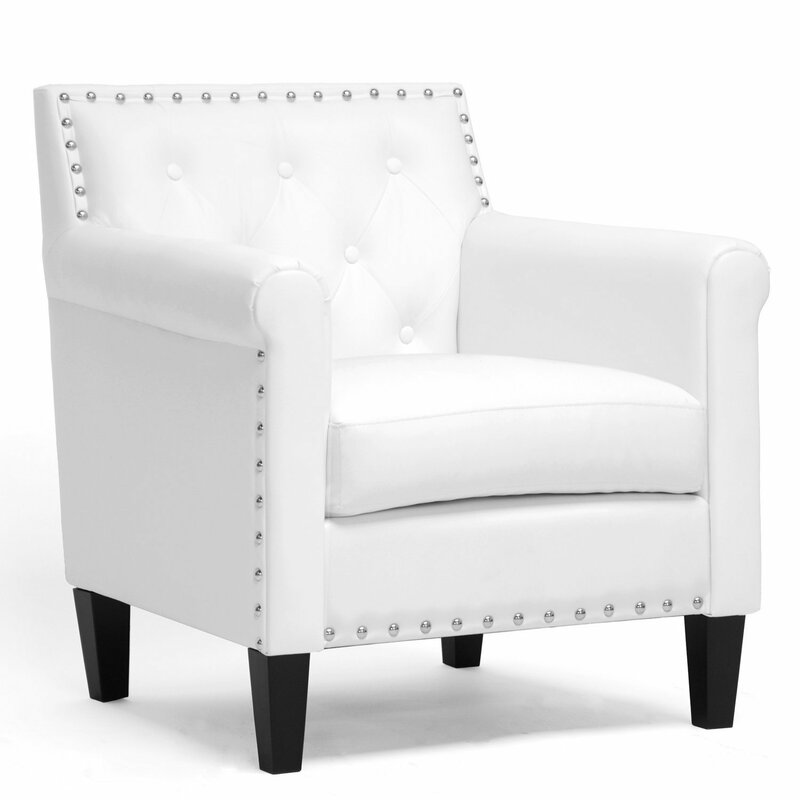 Tufted on the front, grommet on the back…what’s not to love?! 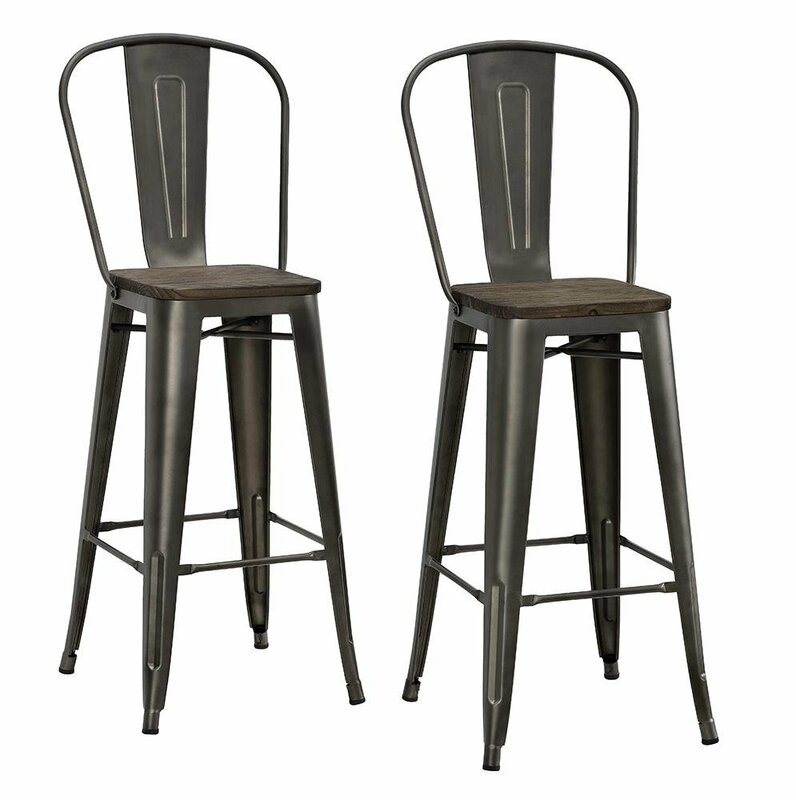 Wood & Metal Bar Stools – If you like the look of these wooden and metal stools, why not incorporate them into your bar space if you have it? These are a very serious contender for our bar seating in our new home. I’m really in love with this style, not to mention they look like they’d hold up really well with children running around and climbing on them! 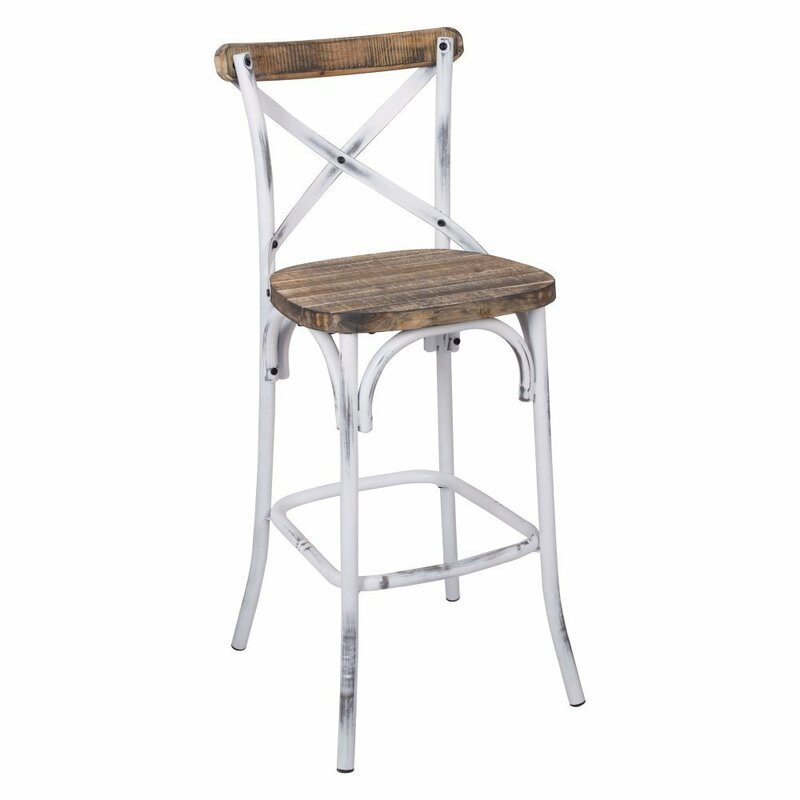 Antique White Bar Stool – I really love the shabby-chic finish on this bar stool. 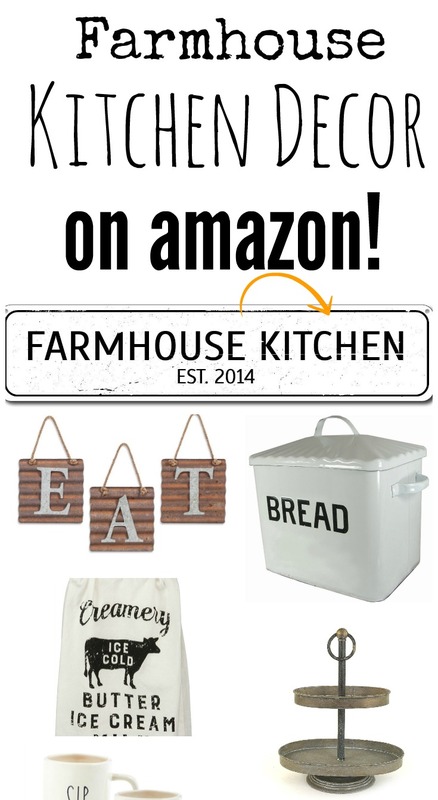 It would give a perfect farmhouse look to a kitchen bar! 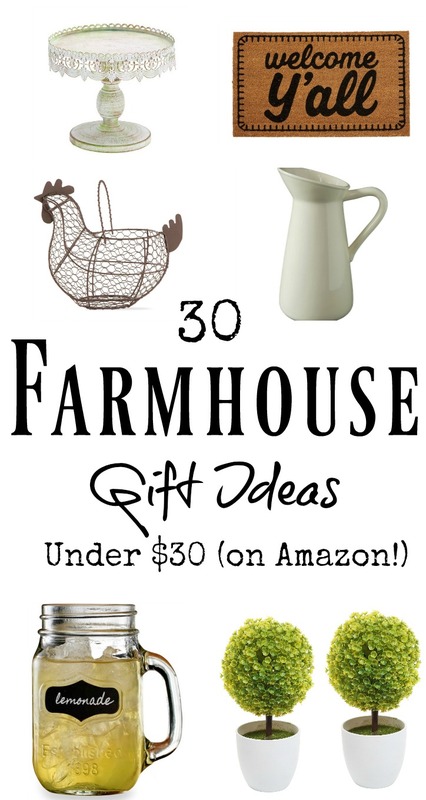 Do you love the Farmhouse look as much as I do? 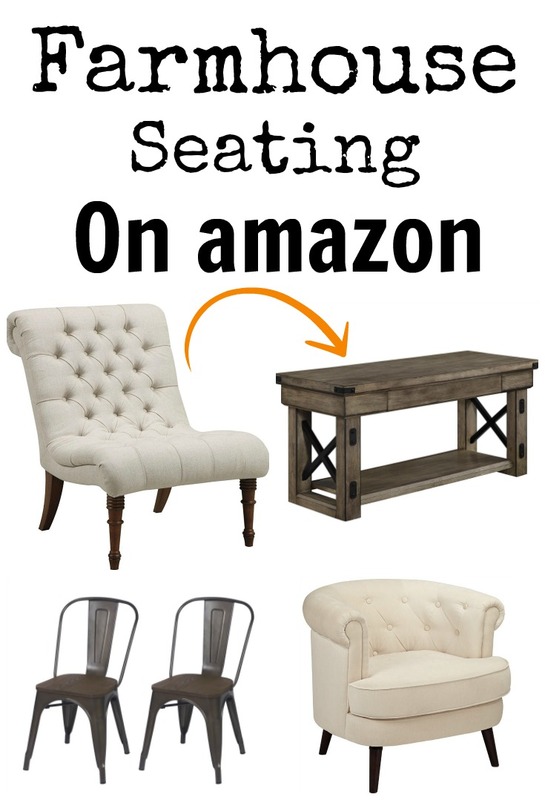 Do you have any recommendations on spectacular farmhouse style seating that you’ve come across? Leave a comment below and share the love! I love your decorating style and all of your tips. Thank you so much for the giveaway.